This is a scalable context timeline. It contains events related to the event Between January and October 1999: Hamburg Cell Downloads Flight Training Software. You can narrow or broaden the context of this timeline by adjusting the zoom level. The lower the scale, the more relevant the items on average will be, while the higher the scale, the less relevant the items, on average, will be. 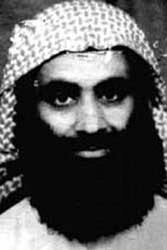 9/11 hijacker Marwan Alshehhi visits the Philippines several times this year. He stays at the Woodland Park Resort Hotel near Angeles City, about 60 miles north of Manila and near the former US controlled Clark Air Base. 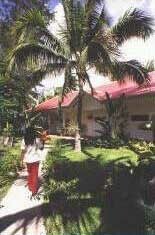 Security guard Antonio Sersoza later claims, “I am sure Alshehhi had been a Woodland guest several times in 1997. I remember him well because I flagged his speeding car at least three times at the gate of Woodland.” He adds that Alshehhi used different cars, knew how to speak some Filipino, and stayed at the hotel on several Saturdays. He is not sure if Mohamed Atta was with him. [Philippine Star, 10/1/2001; Gulf News, 10/2/2001; Asia Times, 10/11/2001] Other eyewitnesses will later recall seeing Alshehhi and Atta at the Woodland hotel in 1999 (see December 1999), and the Philippine military will confirm their presence there. A leader of a militant group connected to al-Qaeda will later confess to helping 9/11 hijacker pilots while they were in this area (see Shortly After October 5, 2005). 9/11 hijacker Marwan Alshehhi takes flying lessons in Bonn, Germany. 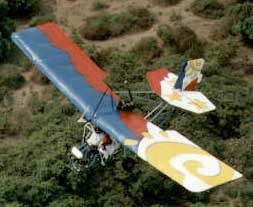 He takes a lesson in an ultralight two-seater and then returns ten days later for a second lesson. His former flying teacher will later recall, “The young man was highly attentive and especially talented.” [Agence France-Presse, 10/9/2001] There are reports that Mohamed Atta also takes lessons on ultralight aircraft in the Philippines in 1999 (see April 1999 and December 1999). Ahmed Santos. [Source: Rolex de la Pena / EPA]Ahmed Santos, the alleged leader of the Rajah Solaiman Movement (RSM) militant group is arrested and supposedly confesses that his group assisted some of the 9/11 hijackers in the Philippines. [Zamboanga Sun Star, 10/30/2005] The “RSM was built upon Mohammed Jamal Khalifa’s NGO network, left unscathed by the Philippine authorities after 1995.” Like Khalifa, bin Laden’s brother-in-law, the RSM has ties to the Abu Sayyaf, Jemaah Islamiyah, and al-Qaeda. [Strategic Studies Institute of the US Army War College, 9/1/2005 ] Santos is interrogated immediately after his arrest and according to a Philippine investigator who was one of his interrogators, Santos says that his group helped train and give shelter to the hijackers (he does not specifically mention which ones or how many). This investigator says that Santos told him, “These Arabs, after their flight training in Angeles, Pampanga, went back to their shelter in the home-base of Santos’ RSM in Pangasinan.” Both Angeles City and RSM’s base are north of Manila near Clark Air Base, which was a major US airbase in the northern Philippines until 1991. [Zamboanga Sun Star, 10/30/2005] Shortly after 9/11, many eyewitnesses were quoted in media reports claiming to recognize 9/11 pilots Mohamed Atta and Marwan Alshehhi taking flight training in the Angeles City area in the late 1990s (see December 1999). This fits with Santos’ alleged account.